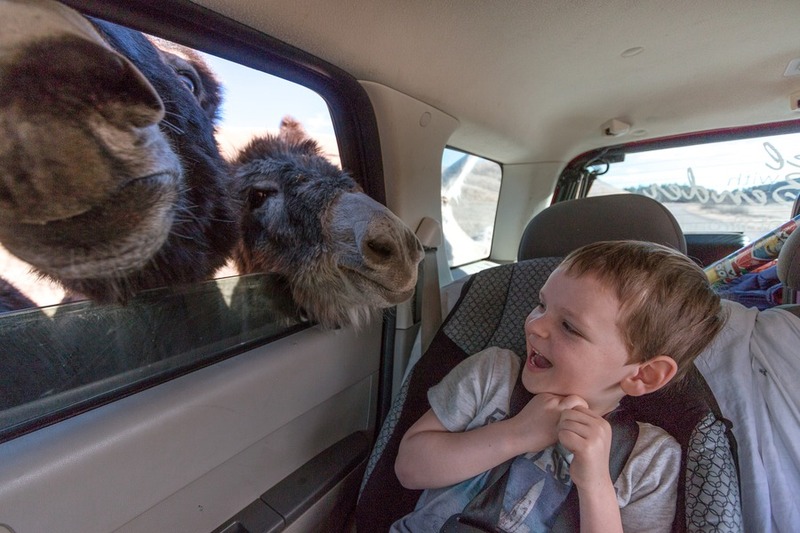 Perhaps you thought of stopping in Rapid City, South Dakota for a night on your family road trip, allowing a quick visit to Mount Rushmore, as did we. 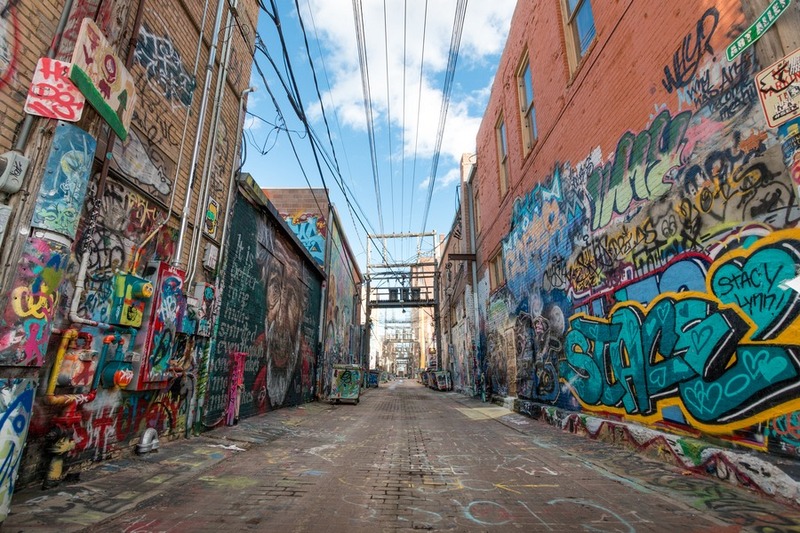 But when Rapid City suggested we stay a little longer and discover more, we were intrigued. In fact we stayed 4 nights exploring the region and still didn’t fit in everything on offer. We were captivated. I’d recommend at least one week to see it all at a comfortable pace. Or you can pick and choose your favourites if you’re on a limited timeframe. Whether you love nature, history, art, or just the weird and wonderful, you’ll find it here. 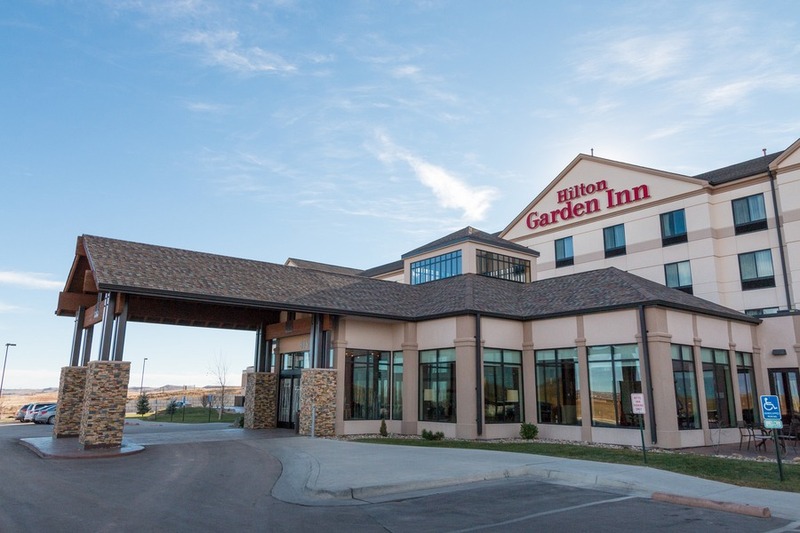 During our time in Rapid City we stayed at the Hilton Garden Inn. 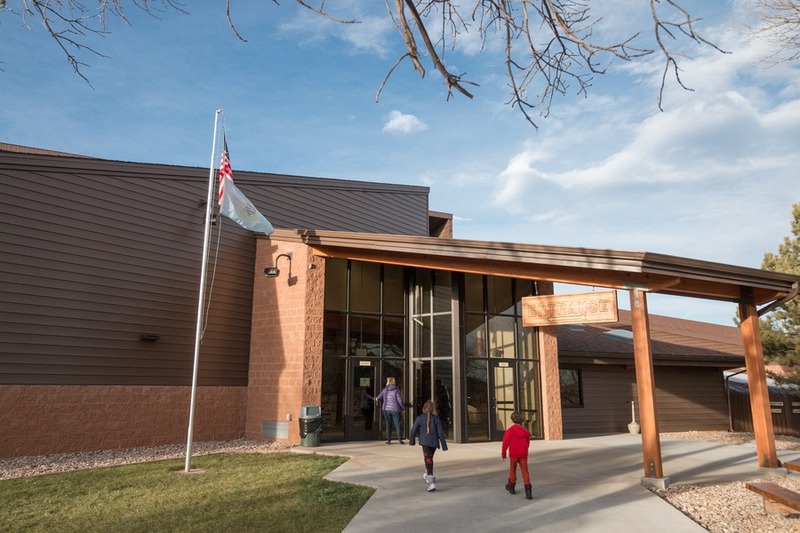 It is located at the northern edge of town near the Interstate 90. 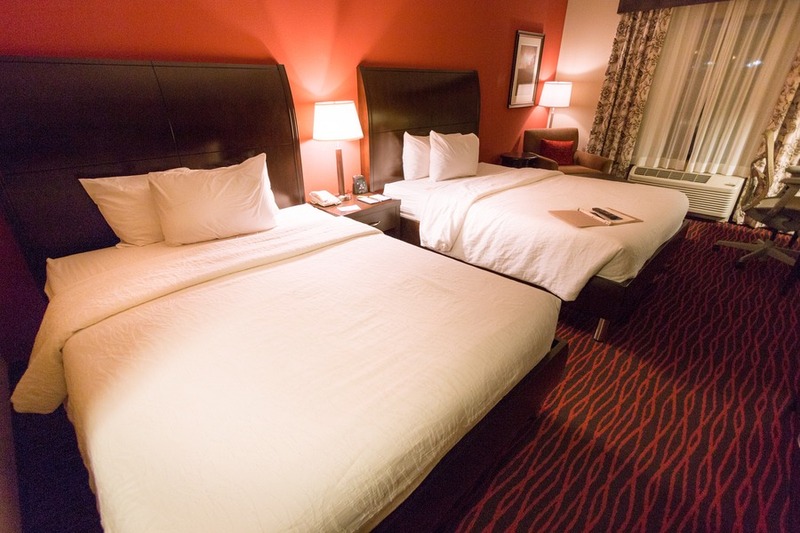 With plenty of nearby restaurants, excellent facilities and comfortable rooms, we were pretty happy with our visit. 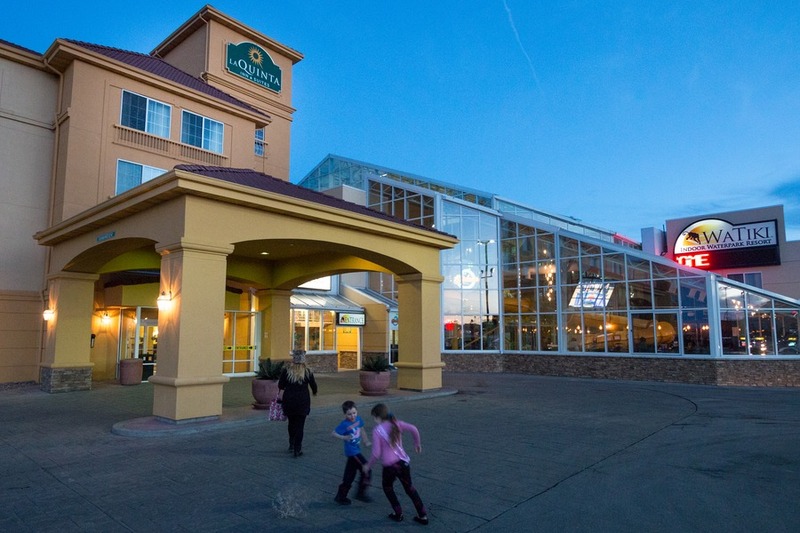 Much to the disappointment of our kids eyeing off the heated indoor pool, we spent very little time at the hotel since we found so much to discover around Rapid City. 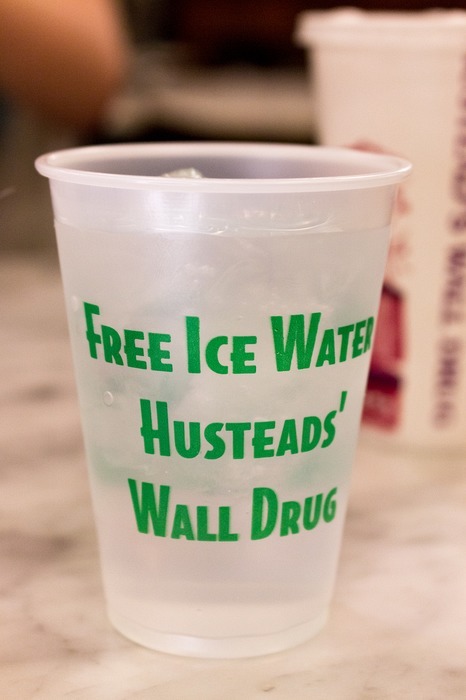 I only have 1 recommendation on where to eat in Rapid City. That’s all you need. 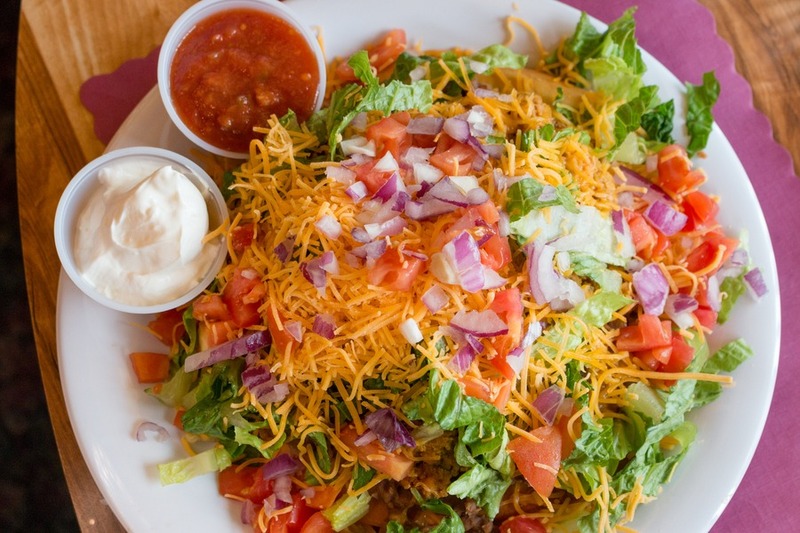 Because once you’ve eaten here you won’t want to go anywhere else. I’m not dishing out any hype; it’s just a matter of fact. 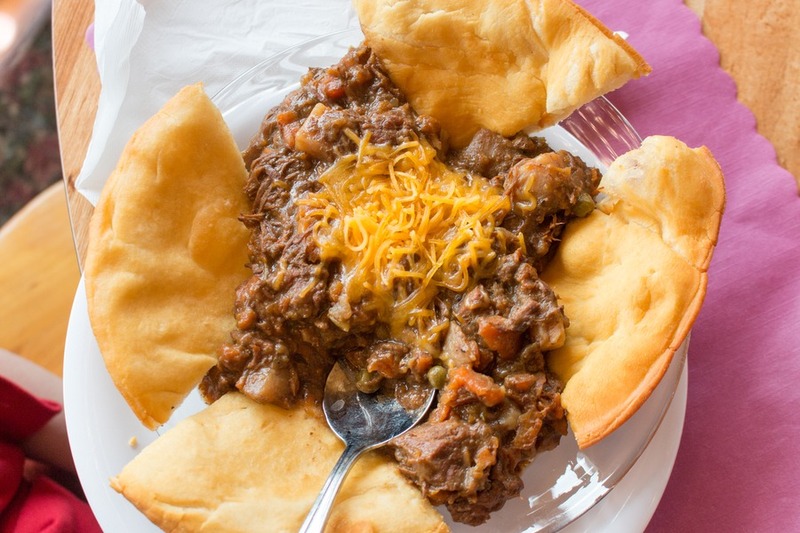 If you want to find out where, check out our dedicated article on where to eat in Rapid City. Of course the main attraction of Rapid City is the world-renowned Mount Rushmore. On the way there we drove the Peter Norbeck Scenic Byway, a must-see for lovers of beautiful vistas. 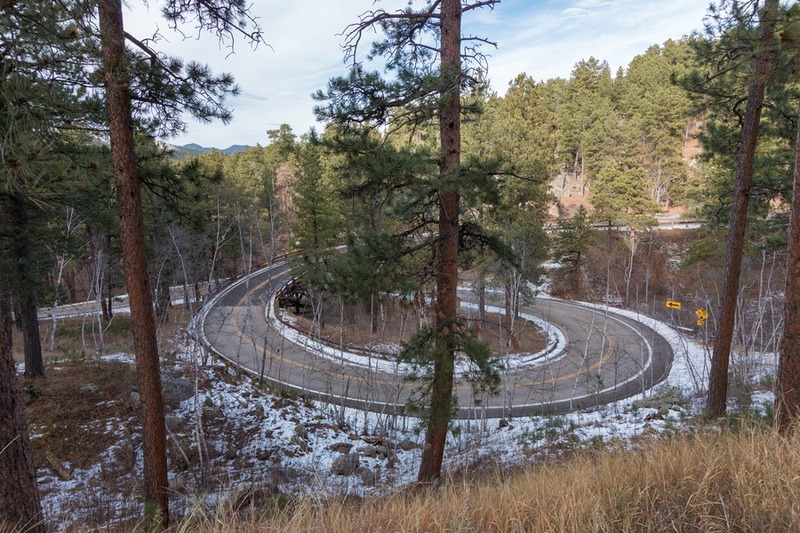 This highway, an engineering marvel, stretches roughly 17 miles featuring 14 switchbacks, 3 pigtails and 3 tunnels. 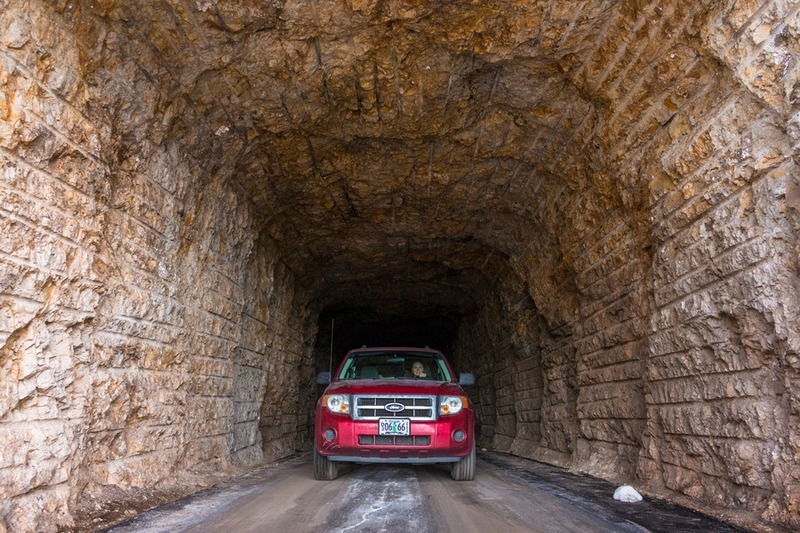 One of the tunnels has absolute insane views of Mount Rushmore – so good, Josh felt compelled to jump out of the car while it was moving to capture this. And then I drove off without him. Haha! It’s ok; I backed up and picked him up again. When you get to Mount Rushmore carefully watch the signs to the parking lots, as it can get tricky. If you make the mistake we did, and waited too late, the road will loop around and end up back in front of the main entrance gate. 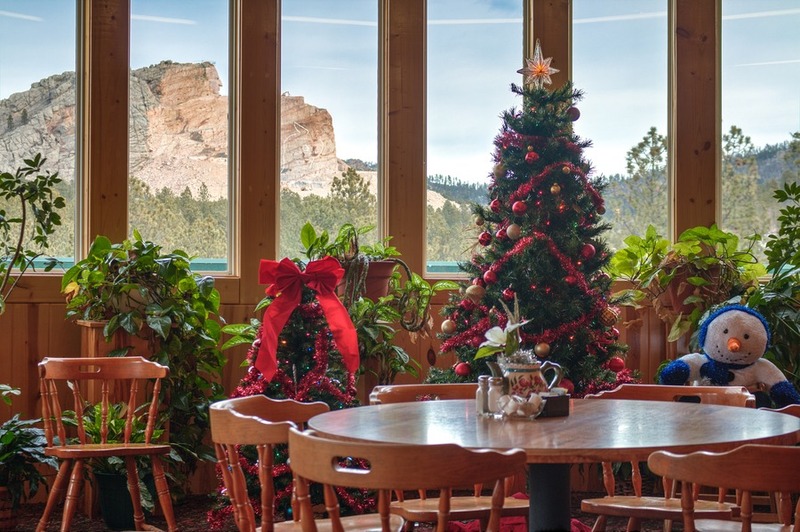 If you arrive around midday you might like to have lunch at the Carvers Café, a perfect spot to sit back, relax and admire the mountain in warmth and comfort. 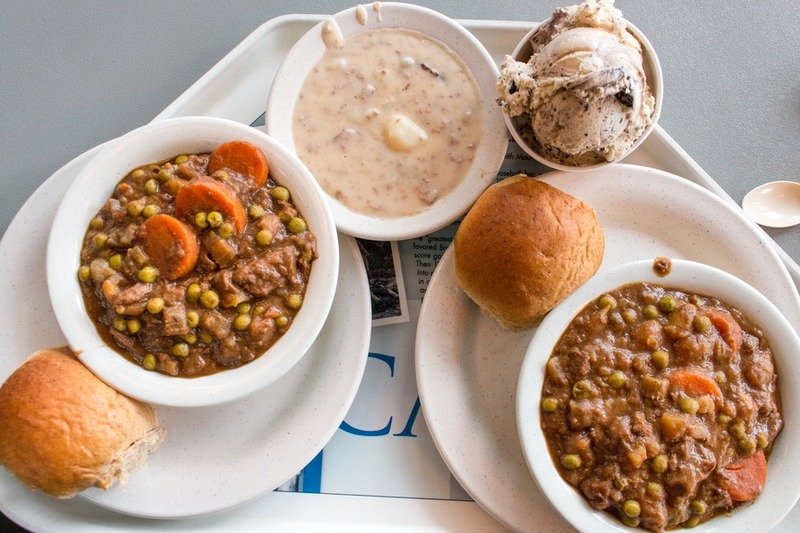 The local bison stew was okay, but the Jefferson original ice-cream mix is a must. That’s right, Thomas Jefferson invented ice cream (at least in the US) and they serve the same original recipe here. 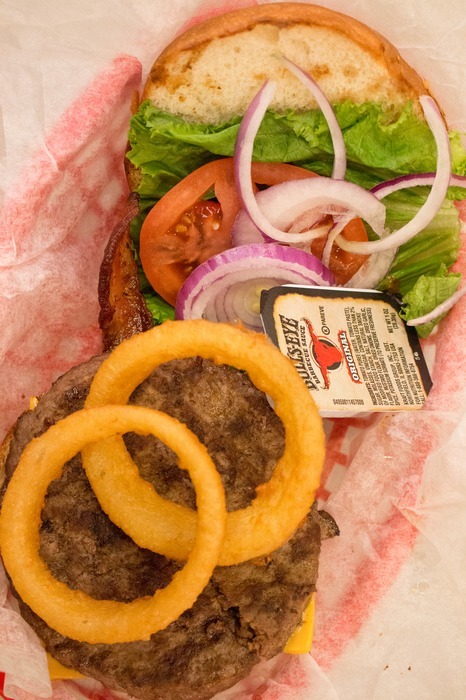 Carvers Café is the only certified three-star green restaurant in South Dakota, thanks to their diligent efforts in reducing their environmental footprint, and high standards of sustainable food practices. After lunch we walked along Avenue of Flags to soak up the view of a lifetime. Majestic Mount Rushmore was everything I expected and so much more. Just in case you live under a rock (or Australia), it’s an epic-scaled sculpture of 4 American presidents carved into a mountain’s granite face in South Dakota’s sacred Black Hills. 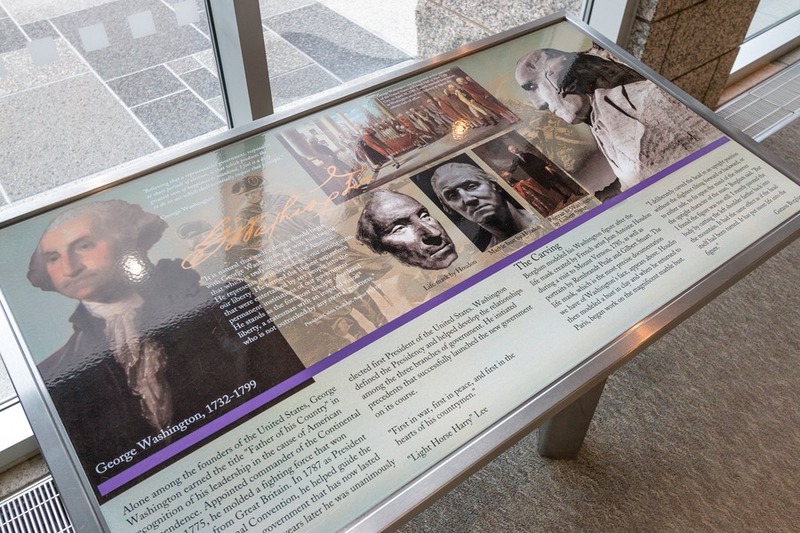 It features George Washington, Thomas Jefferson, Theodore Roosevelt and Abraham Lincoln. 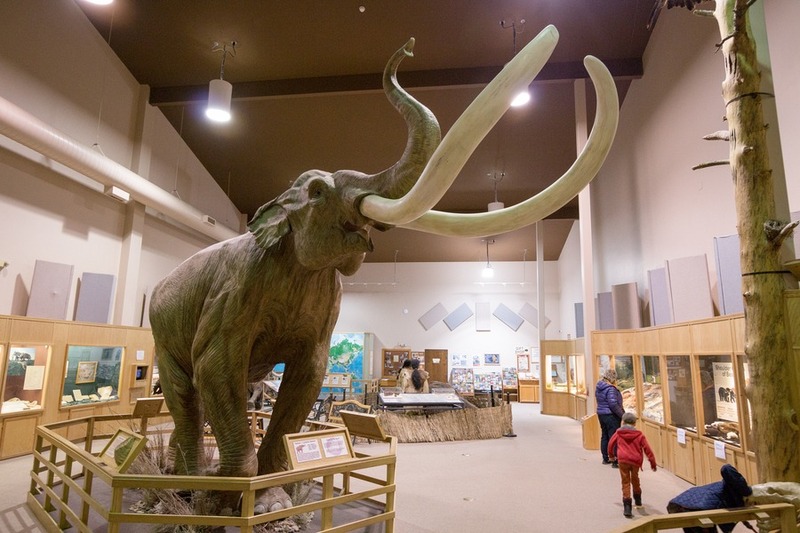 The mammoth profiles are 60-feet high, with the entire memorial covering 5.17km! 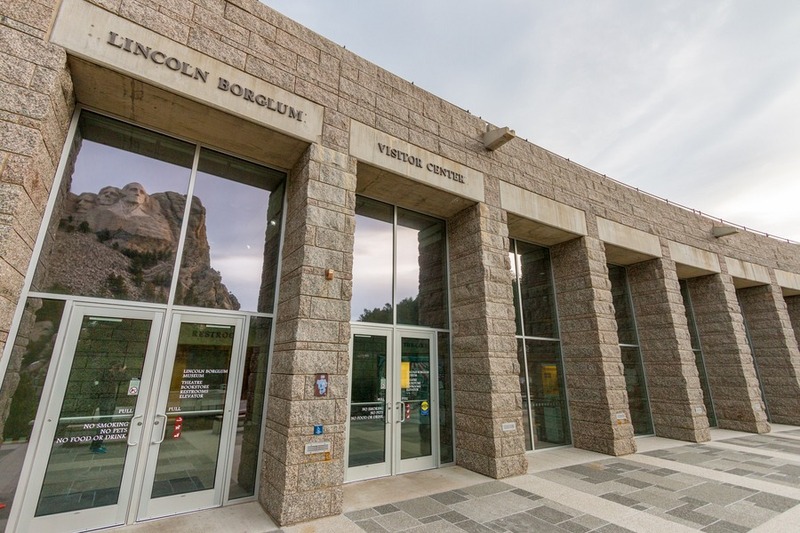 Afterwards we went underground to the Lincoln Borglum Visitor Centre to see exhibits and films about how the carving was made. It’s a great introduction to the US presidents and a fine place for world schooling. Mount Rushmore access is free, however parking is US$11. So you came all this way to see Mount Rushmore, but don’t rush off just yet. 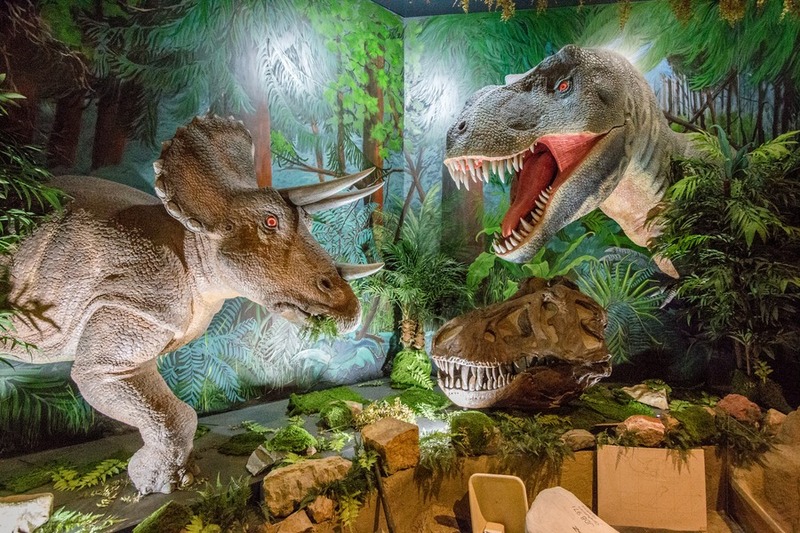 There are oodles of family-friendly activities in the Rapid City region. All you need is a car and a sense of adventure. 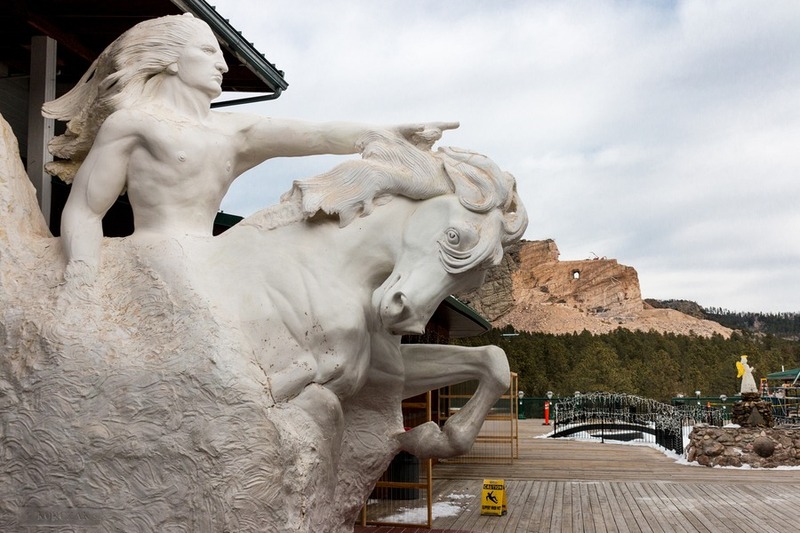 45 minutes southwest of Rapid City you will find the 563-foot colossal Crazy Horse Memorial. Inspired by the sculpture of Mount Rushmore, local Native American chiefs commissioned Polish-American sculptor Korczak Ziolkowski to create this monument. Work began on Crazy Horse back in 1948, being privately funded, with no state or federal government financial support. After Korczak’s death in 1982, his widow Ruth took on management of the project until her passing in 2014. Today 7 of the 10 Ziolkowski children manage the foundation and ongoing construction work. It currently has no estimated completion date. At first glance the mountain can seem underwhelming after seeing the refined Mount Rushmore, but when you realise that the entire faces of 4 presidents fit inside the face of Crazy Horse, you can’t help but feel stunned at the epic scale of this endeavour. It takes a little imagination to understand how the final sculpture will look. But when it’s complete, Crazy Horse Memorial will likely be the largest sculpture in the world. 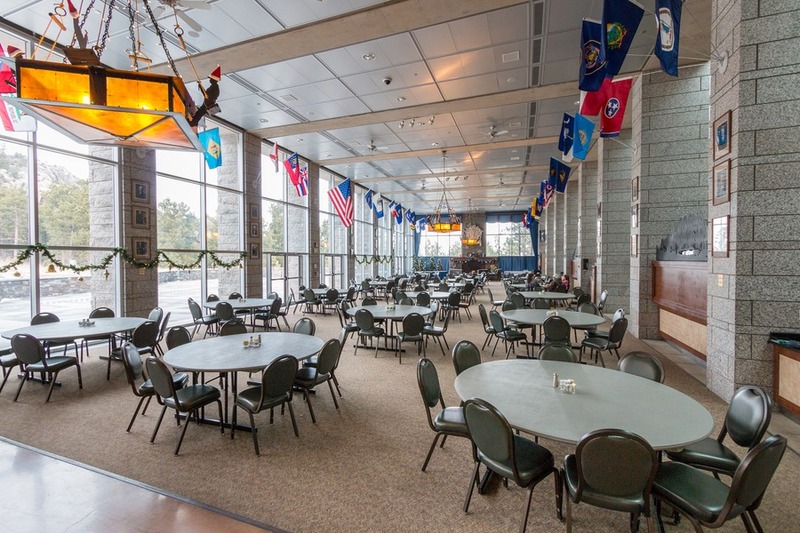 We enjoyed a delicious lunch a Laughing Water Restaurant, with beautiful views overlooking the memorial. 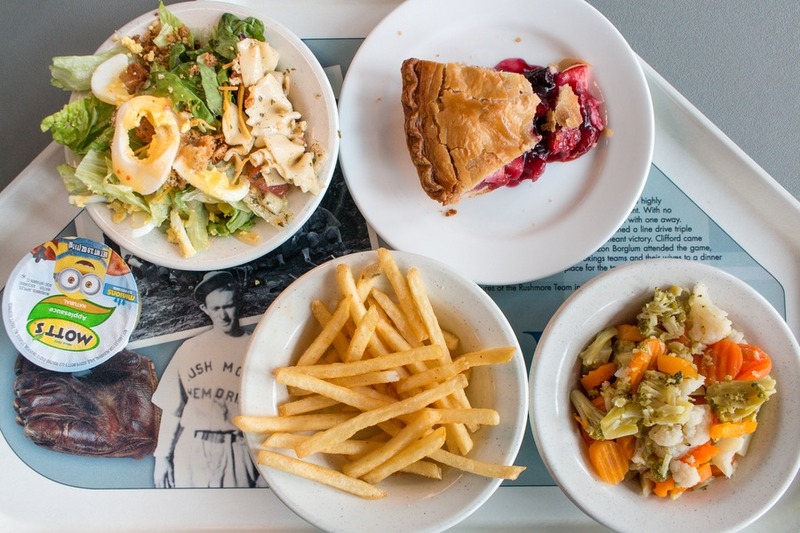 Portion sizes are huge, so you can probably share 1 dish between 2 adults. 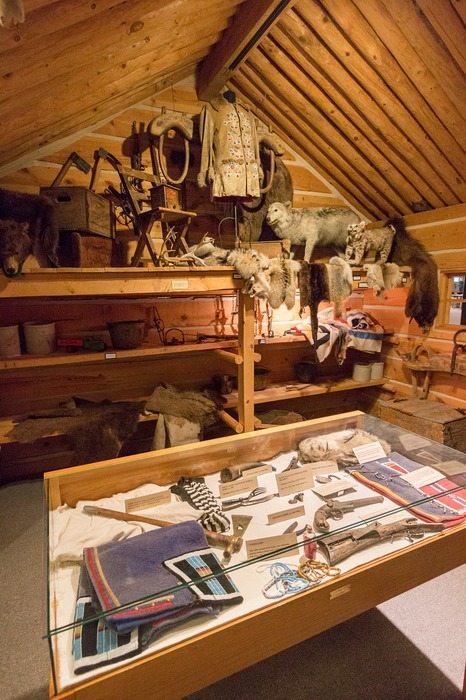 You’ll also find a ton of historical and cultural artefacts onsite in the museum so that you can understand all about the fascinating character of Crazy Horse and what he represents to the local Lakota people. I love caves and Wind Cave is an impressive cave worth exploring. 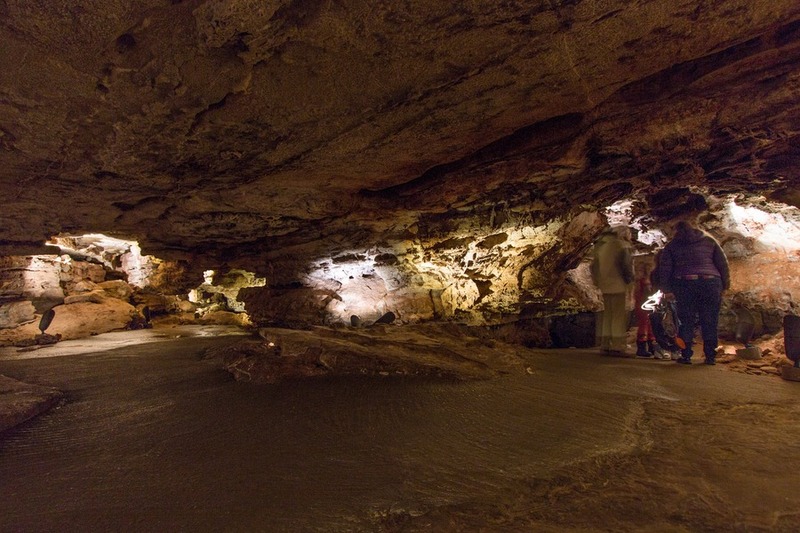 Located only 75 minutes southwest of Rapid City, this cave system is the 6th largest in the world. However, only 143 miles of passages have been mapped and there is more being discovered each year. 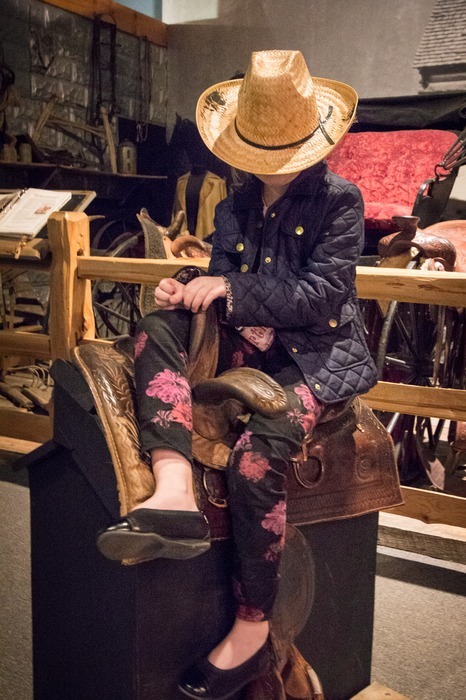 Our kids really enjoyed the small hands-on display in the visitor centre foyer as you can tell by the photo below. 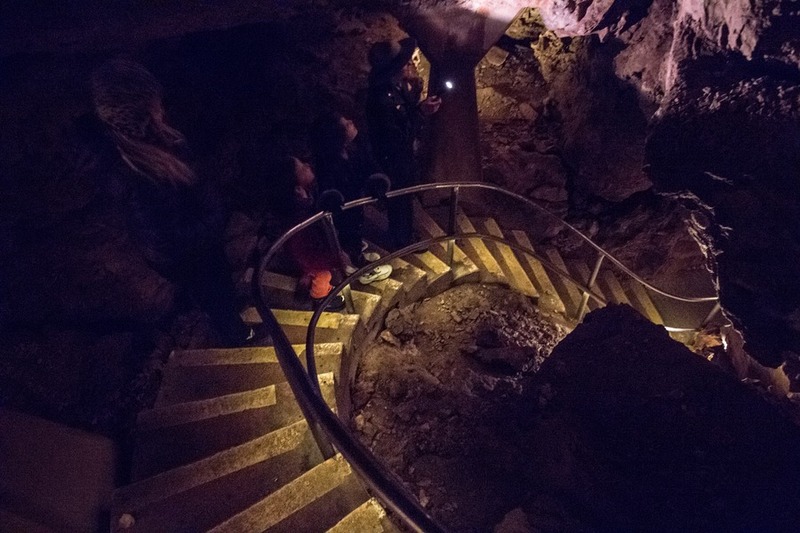 We loved the 75-minute Natural Entrance Cave Tour and the story behind the discovery of the cave itself. It was an easy walk for our kids and not too strenuous. My son was fascinated by a cave formation called “boxwork” – with over 95% of the world’s known boxwork found in this cave system. Also interestingly, this cave was the first cave in the world to be designated as a national park in 1903. 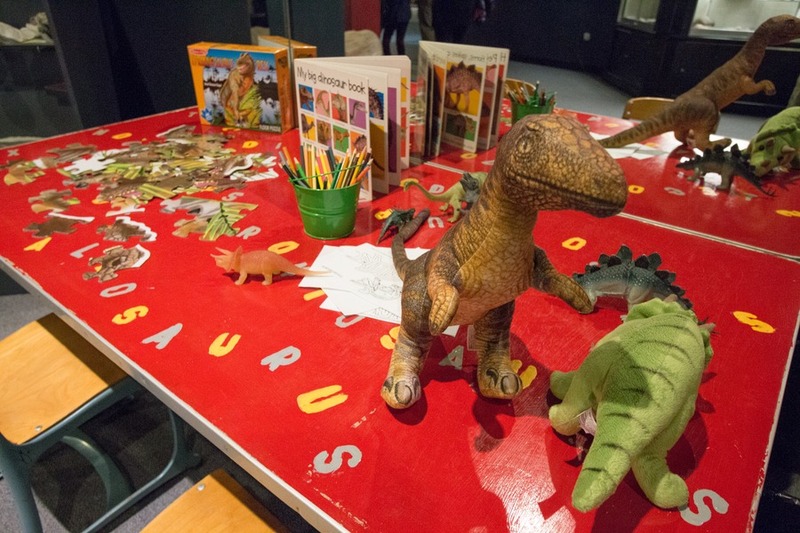 Looking for an exciting educational experience for the kids? Look no further. 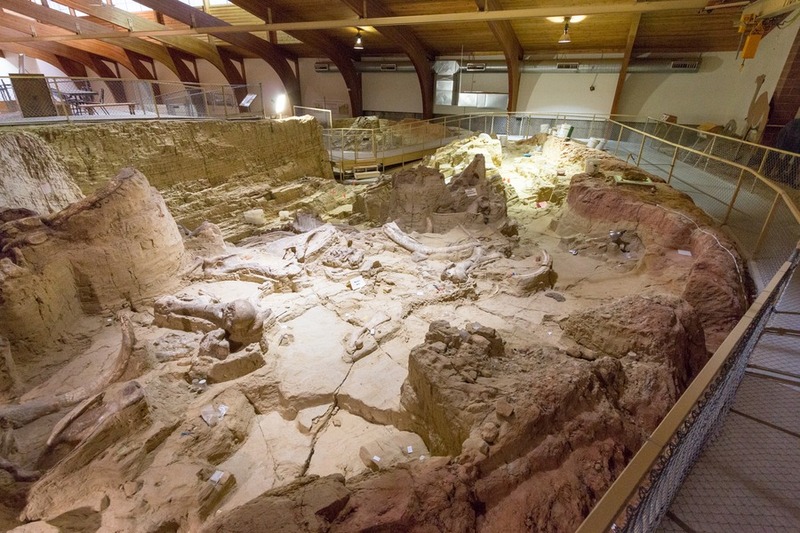 We were truly impressed with the Mammoth Site. 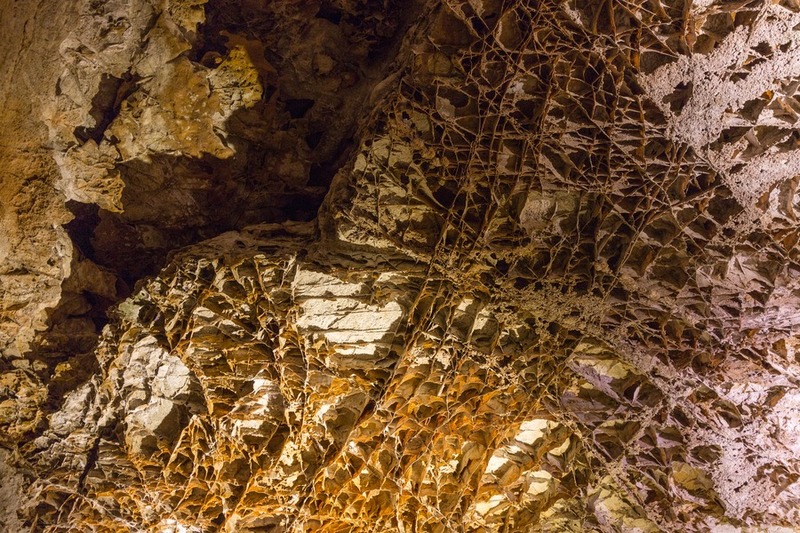 About 26,000 years ago a cavern collapsed, leaving a steep-sided 65-foot hole. Water filled it and animals flocked to it, with some falling in. Some of the 80 species found in it were giant short-faced bears, camels, llama, wolves, moles, ferrets and, of course mammoths. Mammoths easily fell into the pond and due to the steep sides could not get out again, thus drowning in this beautiful natural trap. Over the years the hole filled with sediment, and clay preserved the animals. 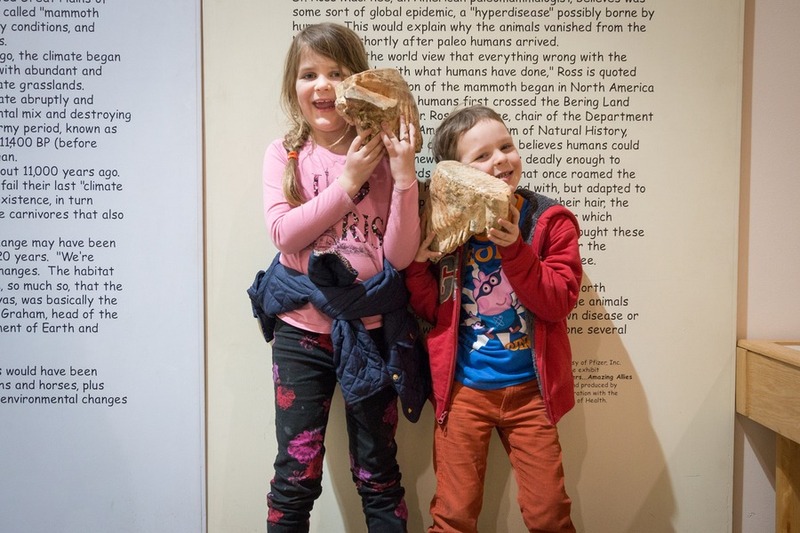 As of today over 61 mammoths have been identified, but more are found regularly. Back in 1974 the site was enclosed with a building. 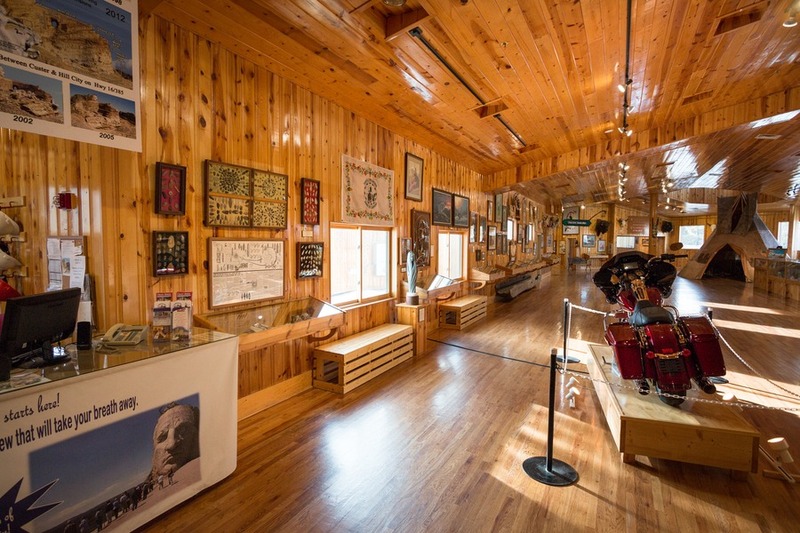 A non-profit museum is now on the site and open to the public. 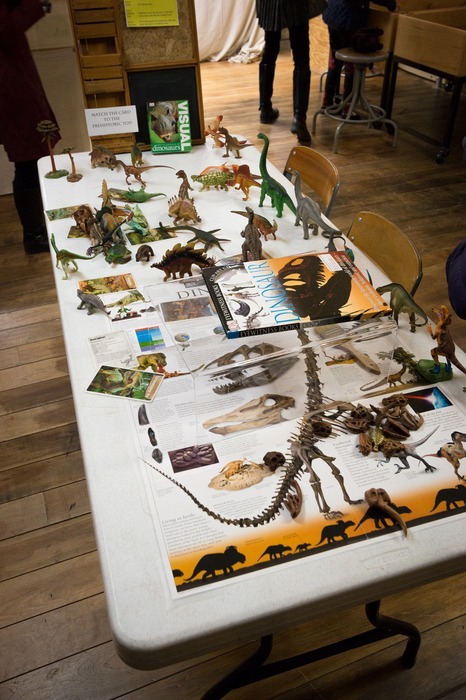 The natural landmark is an internationally renowned indoor working paleontological site/museum. You can take a walk around the digging site and watch excavations at work. And if you want to get your hands dirty, volunteers are invited to participate in digs each July. 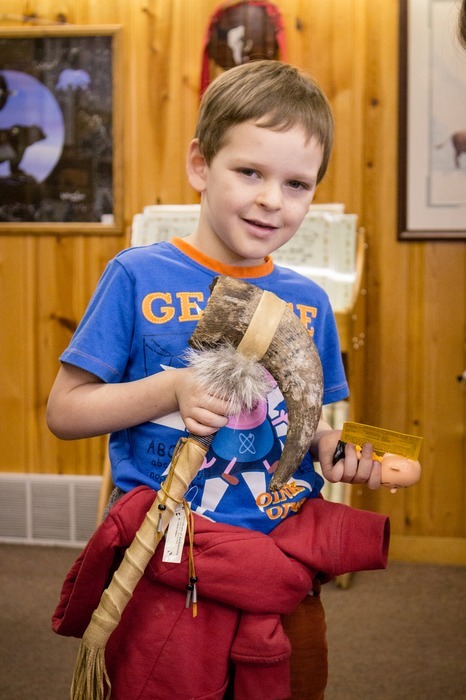 In addition to the dig site, a hands-on museum kept the kids busy for ages. 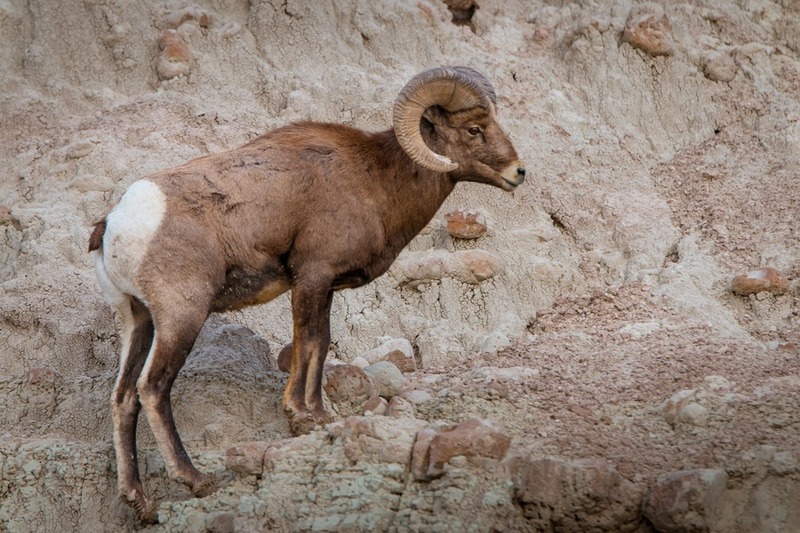 Speaking of wildlife, Custer State Park is another must-see destination during your stay in Rapid City. 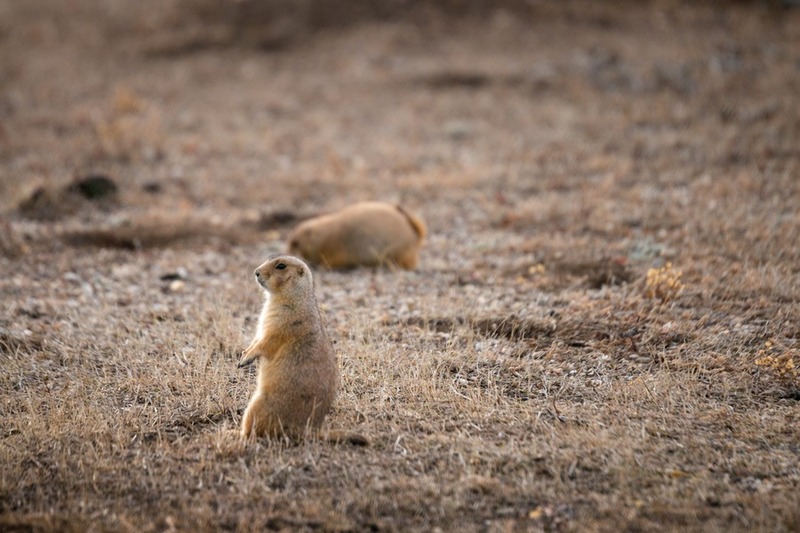 Covering 71,000 acres of rolling hills, you can easily spot bison, antelope, deer and big horn sheep, not to mention hundreds of prairie dogs. 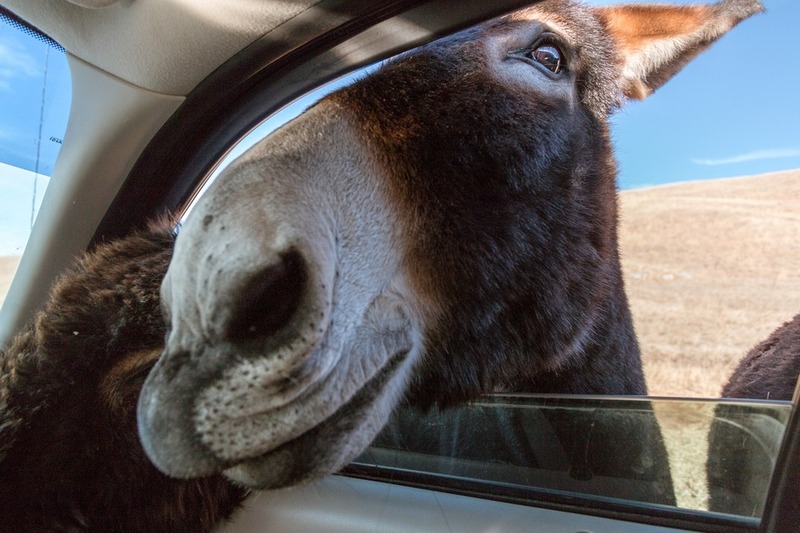 Oh, and did I mention the begging burros? Thanks to a tip from a Facebook follower, we were prepared for those with 2 bags of carrots. They didn’t last long and we had the funniest in-car moments ever. 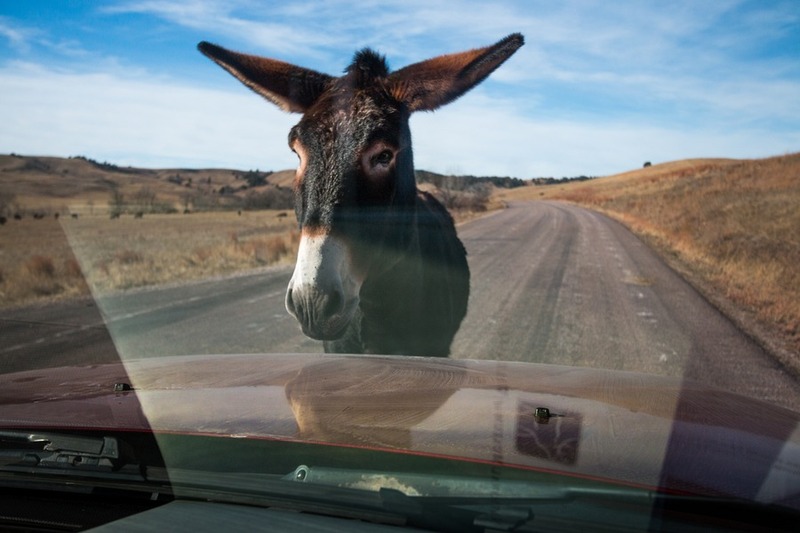 One burro was so preoccupied following our car that he suddenly found himself in the unwanted company of a herd of bison and quickly made a very loud, frantic dash through the grasslands back to his friends. And there is so many bison in the park - around 1,500 of these big, hairy, curious creatures. We spent about 1.5 hours driving along Wildlife Loop Road, admiring the wildlife, and time flew by so quickly. Tip: Arrive as early as possible in the morning as the wildlife are more active rather than later in the day. 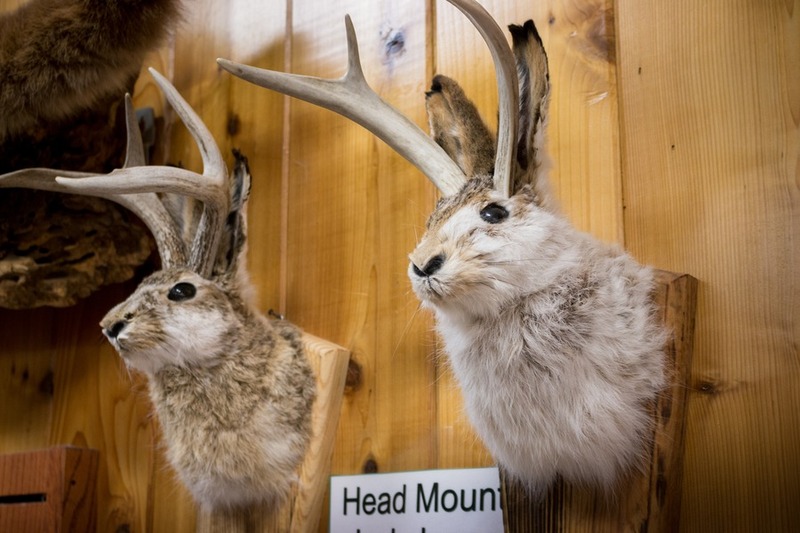 We stopped at this iconic roadside attraction on the way to Sioux Falls, but it’s an easy 50-minute drive from Rapid City, and combines perfectly with the Badlands. Wow! This is one strange stop. Picture this - a long, straight, desolate highway. Travellers driving from point A to B, zooming right by the little town of Wall, South Dakota... until one day in 1931 a roadside sign goes up offering free ice water. In those days that was really something. No one did that. This struggling little pharmacy on the brink of failure all of a sudden was filled with customers. 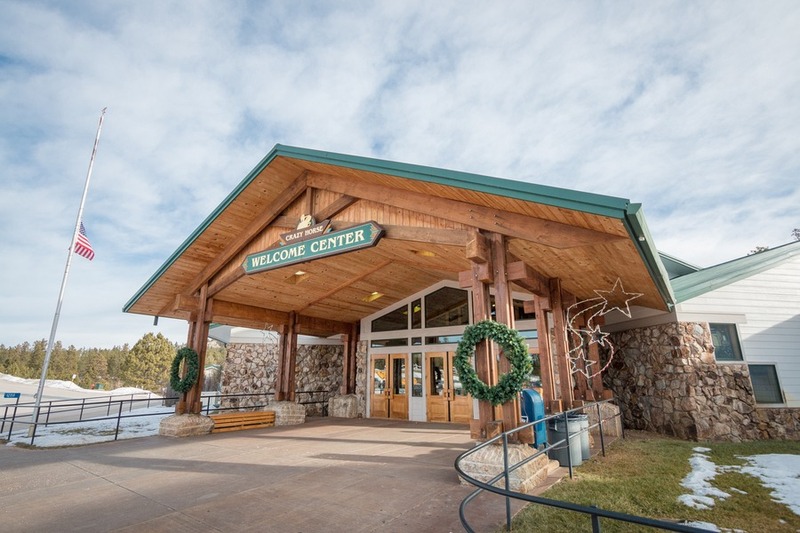 And today has grown to cover a total of 76,000 square feet, receiving hundreds of thousands of visitors each year. 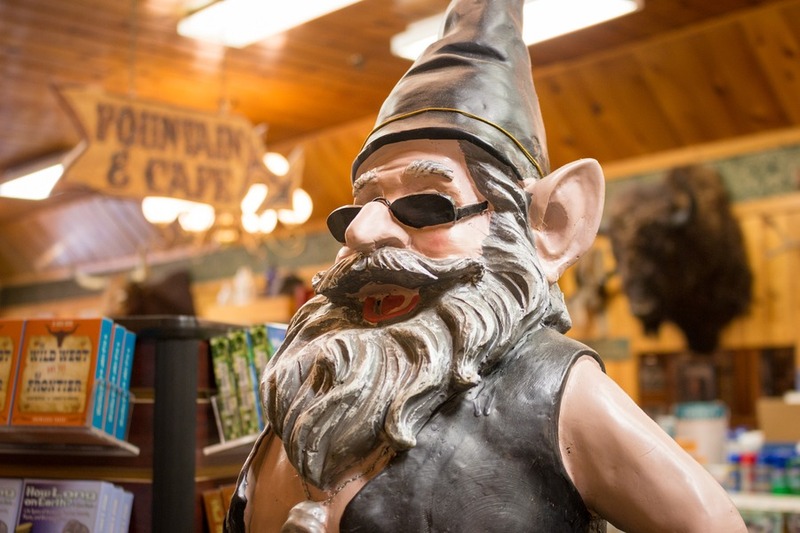 Now it’s regularly ranked as the #1 roadside attraction in the world. Yes, the world. They still have signage all over the highways, even in other states of the US and as far as Europe. 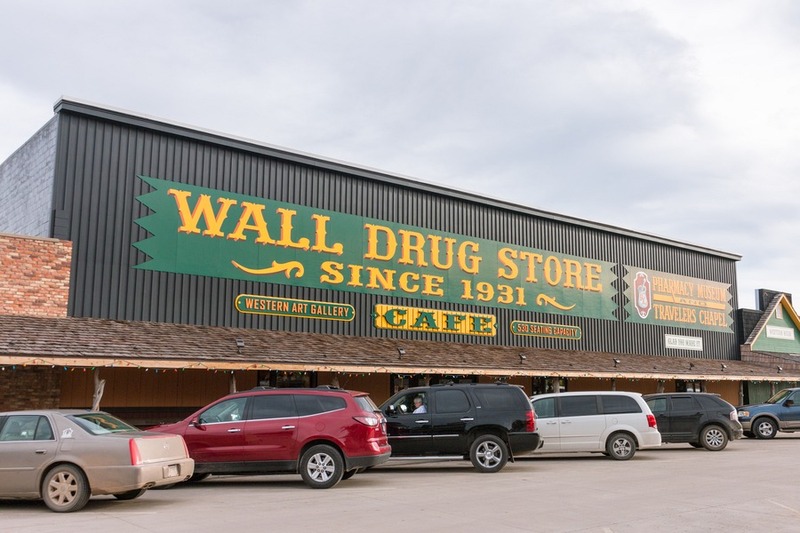 Wall Drug stickers have even made it as far as space. 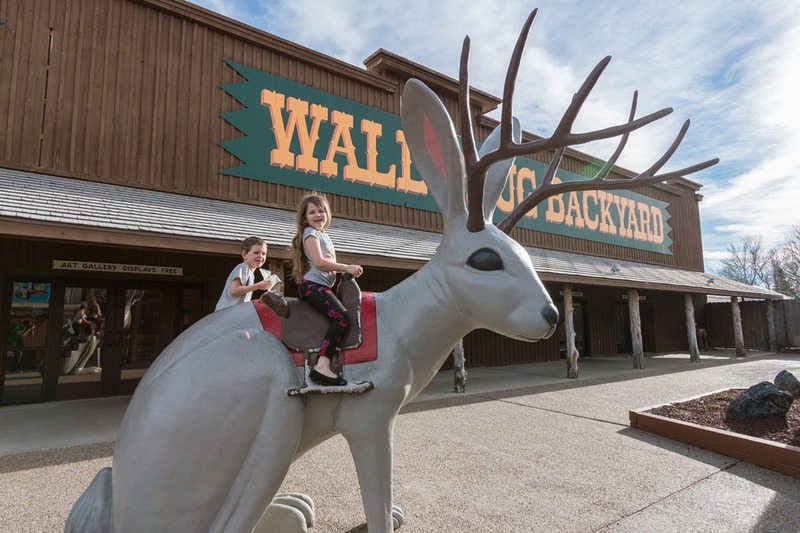 Wall Drug combines an on-site restaurant, speciality stores, gift shop, marriage chapel, singing robots, animated T-Rex, gold panning fun, giant jackalope and so much more. Give yourself at least an hour here. You really have to visit it to understand… or even believe it. This rugged, barren landscape is so vast it can be seen from space. 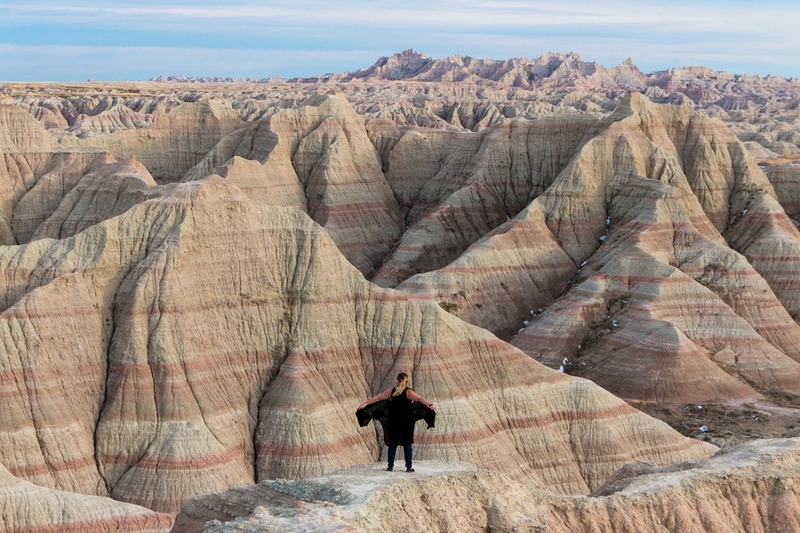 And any visit to Rapid City is not complete with driving through the Badlands. 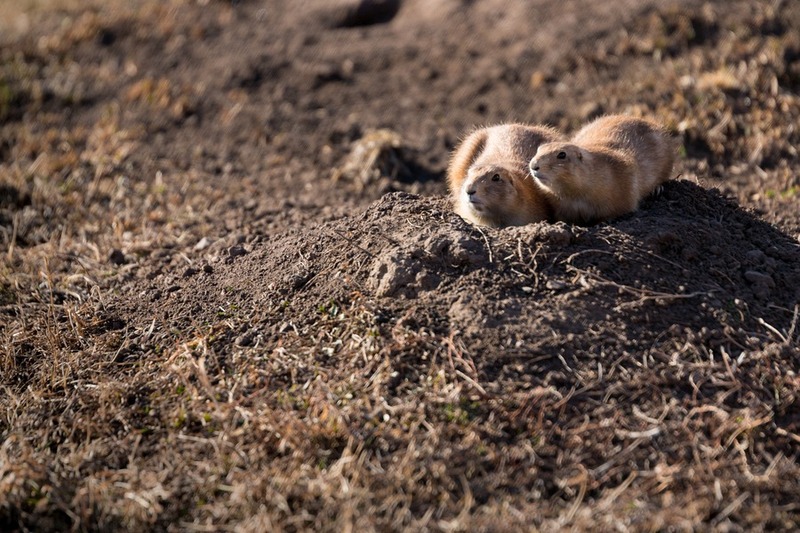 It’s 244,000 acres of mixed-grass prairie and jagged hills where bison, bighorn sheep, prairie dogs and black-footed ferrets roam. We took the quick route around the park (south from Wall along highway 240, exiting back onto I90), which took a good 2.5 hours. I recommend stopping at Pinnacles Overlook, Panorama Point, Door & Window Trail and the Big Badlands Overlook. Since we drove through in the afternoon, we didn’t see as much wildlife as Custer State Park, but the terrain itself was completely worthwhile. This iconic landmark is actually in Wyoming, but only about 1.5hrs west from downtown Rapid City. We stopped for a couple hours on our way from Jackson Hole, Wyoming to Rapid City. If you’ve seen the 1977 cult classic film “Close Encounters of the Third Kind”, this destination will need no introduction. It’s an 867-foot protrusion, created from a similar geological force as the Giant’s Causeway in Northern Ireland. 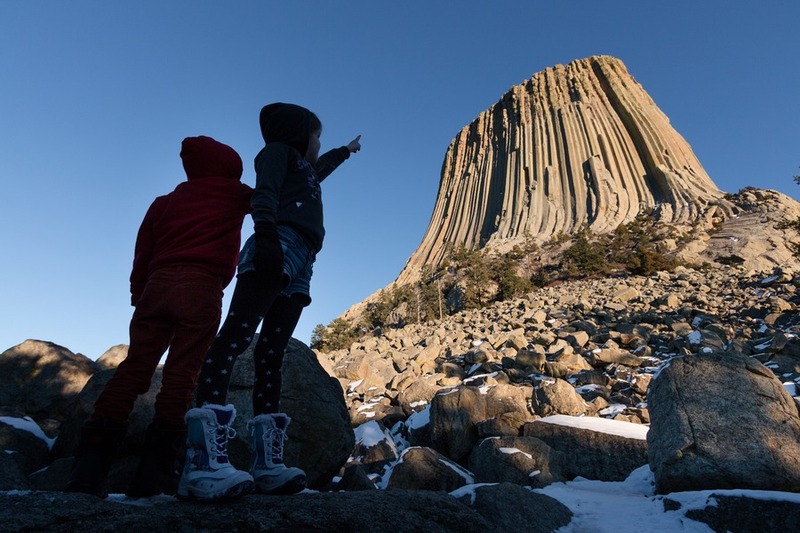 Devil’s Tower is held sacred by local Lakota tribes and was the United States’ first national monument established in 1906. Walking around the base was easy for our kids, and we watched the golden sun set over the pristine landscape. Unforgettable! I wish we had more time to spend at this place. We took a very quick walk through and our kids loved it so much they didn’t want to leave. 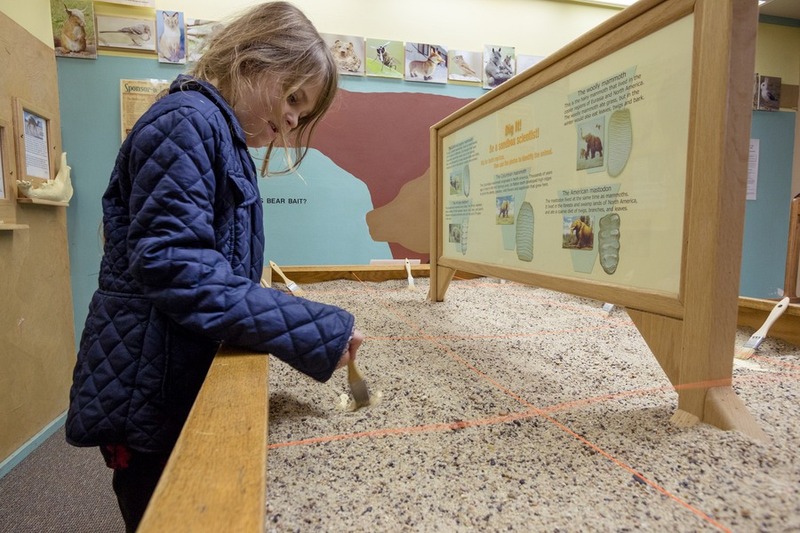 This museum offers a wide range of hands-on exhibits that take visitors on a journey through the 2.5 billion year history of the Black Hills & Badlands area. 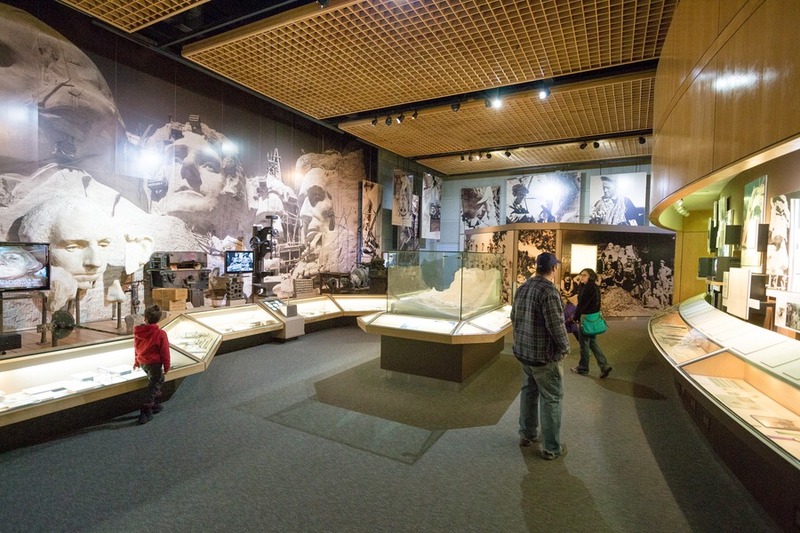 Displays combine culture, geology, archaeology, dinosaurs, space, ancient and modern history, making it a perfect first pit stop when you arrive in Rapid City. 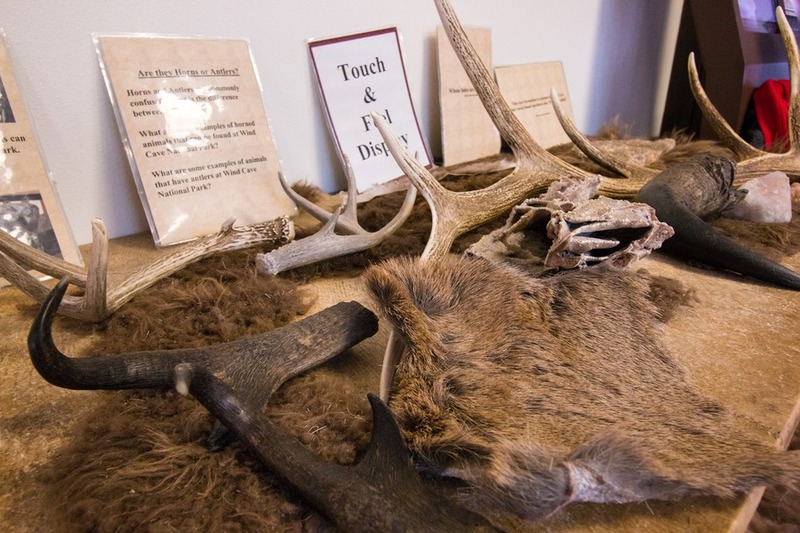 Adults and kids alike will gain in-depth insight into the local area and beyond. 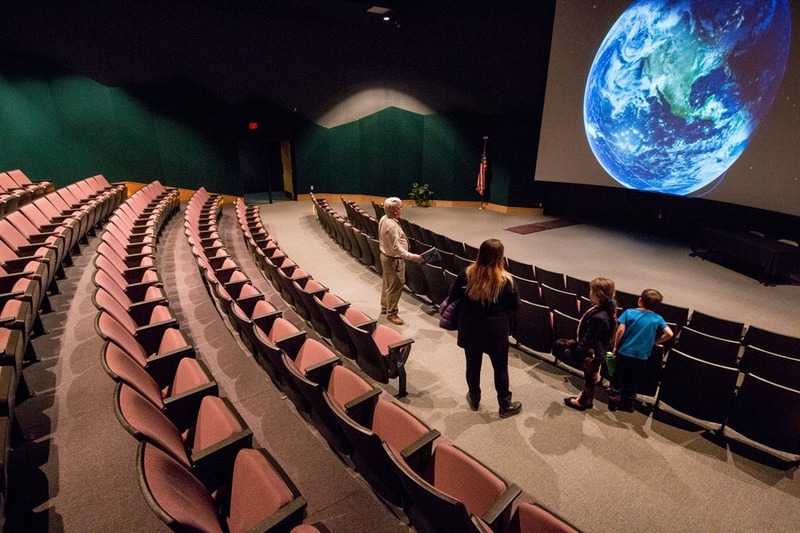 We watched an impressive interactive presentation in the theatre about the night’s sky - a journey amongst the planets in our solar system, driven by software and imagery provided by NASA. Multiple shows in the theatre throughout the day are a great way for kids with short attention spans to break up their visit. An entry ticket provides 2 days worth of access, so you can come back if you like. I’d recommend spending between 1.5 to 3 hours here. Need a break from all that amazing wildlife and nature? 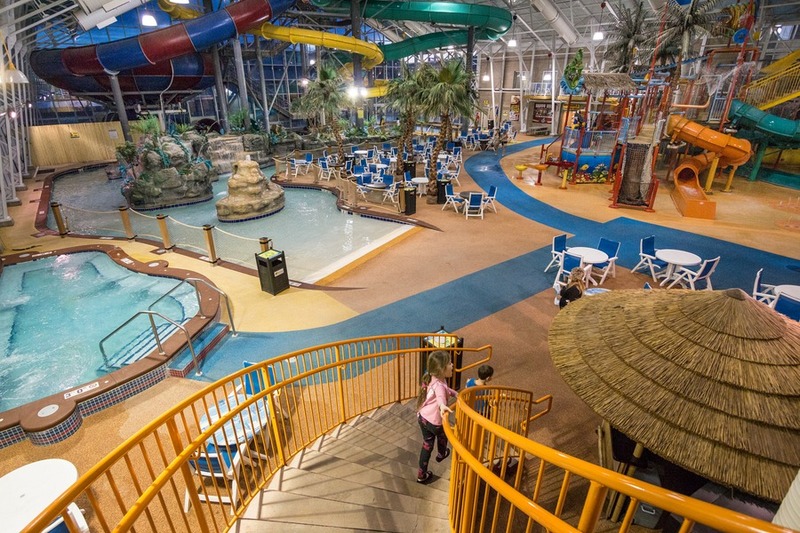 We headed to the tropical-themed Watiki Indoor Waterpark one afternoon for a few hours of fun. It’s not a huge waterpark by any means, but it’s fully enclosed which makes all the difference in winter. Our kids’ favourite rides were: mini lazy river, Wipeout-style leaping frog pads, pool basketball, and the large kids water playground. Tip: Lockers cost $7-11 depending on size, but towels are free to borrow. This is one of Black Hill’s original tourist attractions and completely free. 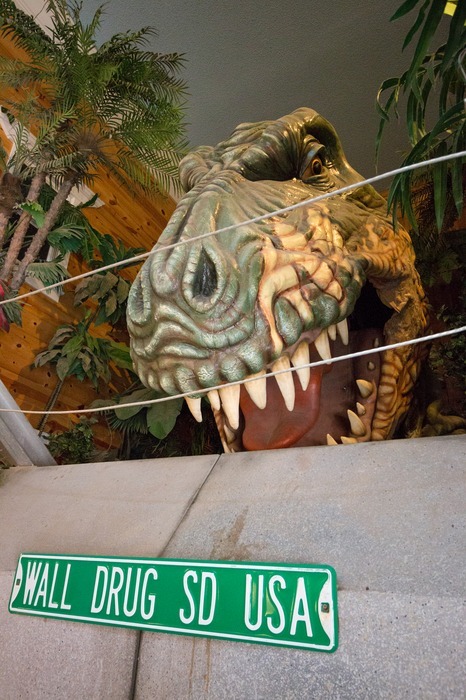 Dinosaur Park opened in 1936 and features seven life-size concrete dinosaurs on top of a hill that overlooks the whole city. 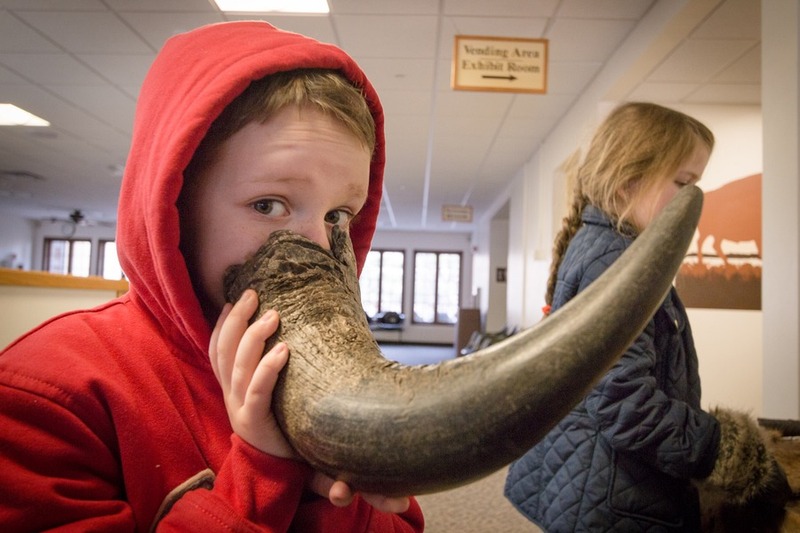 It’s a bizarre tourist spot, but our kids loved cuddling the Triceratops and Mr Photographer loved the 100-mile views of South Dakota. Is your kid an artist? In Rapid City they can be. 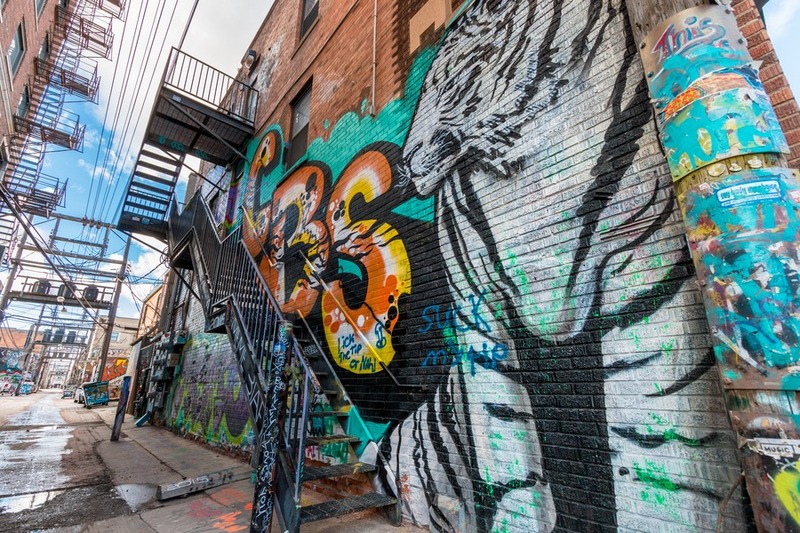 Located between 6th and 7th street in downtown, you’ll find Art Alley. 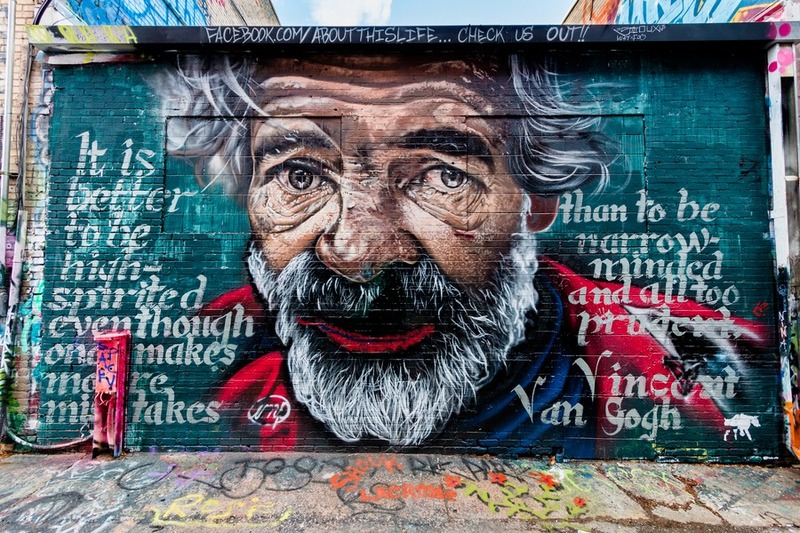 It began in 2005 as a public art project and is now a graffiti artist’s dream come true. 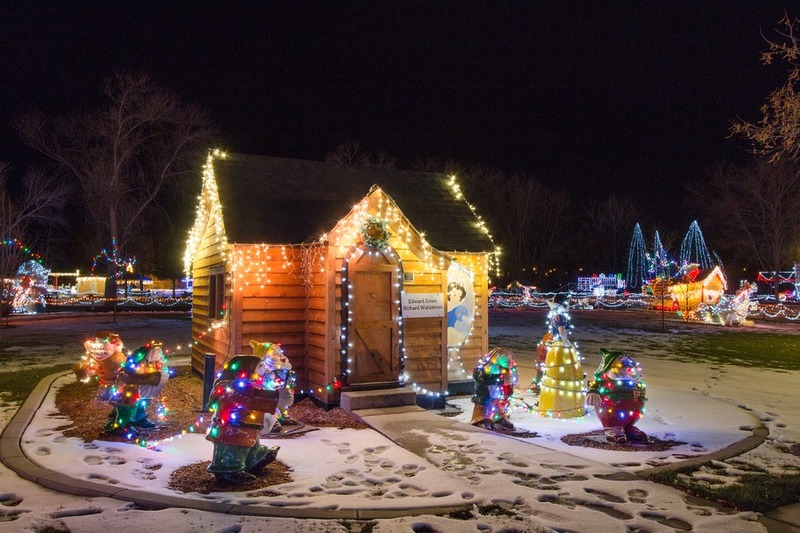 Usually free, we paid a $2 entry fee to see this place at night all light up with pretty Christmas lights. 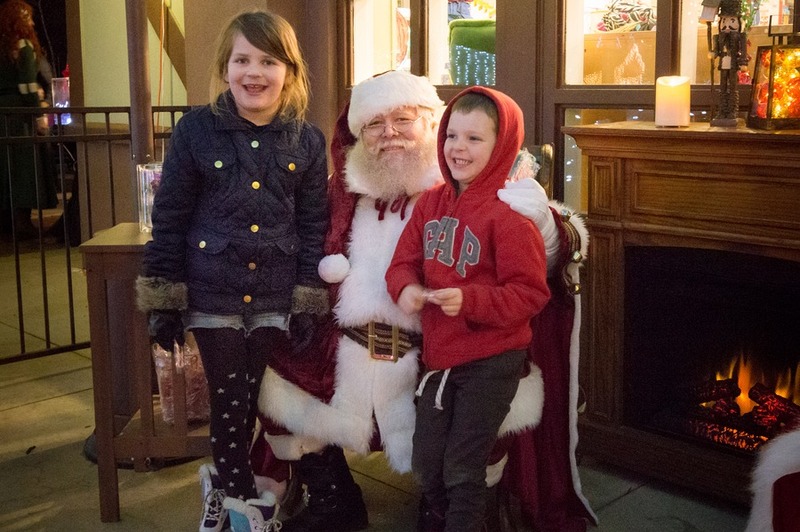 If you aren’t visiting in December then head on over to see a quaint children’s park filled with sets and characters from popular children’s stories, fables and nursery rhymes. 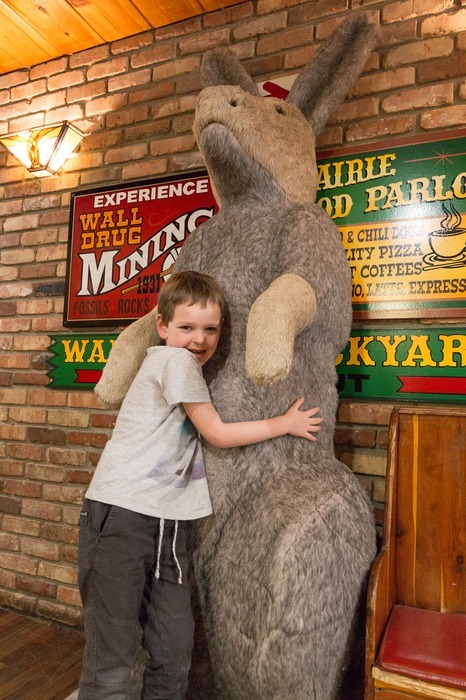 Better suited to younger children. 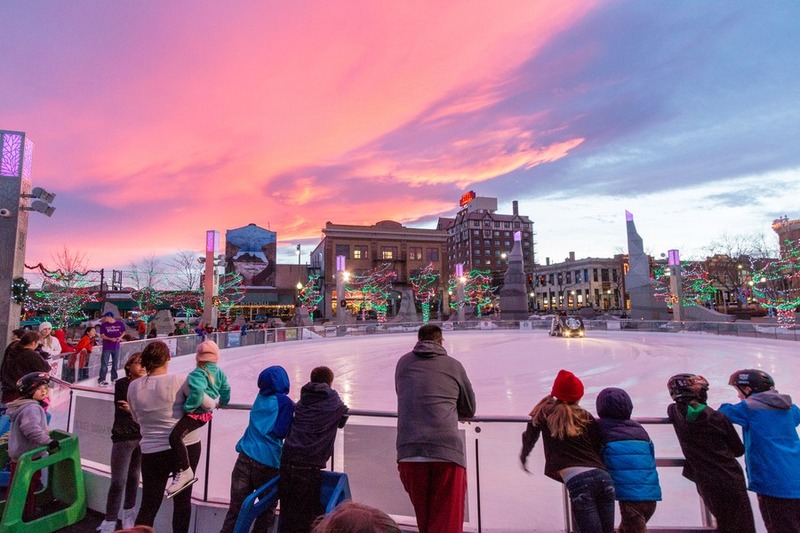 The Main Street Square is a trendy, recently revamped portion of Rapid City. Lucky for us when we visited in December it was the site of a public outdoor ice skating rink. 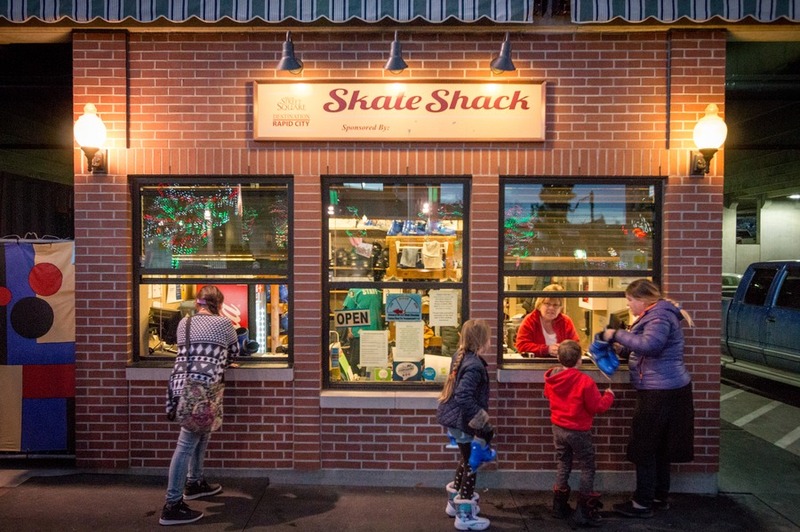 Skate rental prices were reasonable and it’s even larger than the famous rink in Rockefeller Plaza, New York. 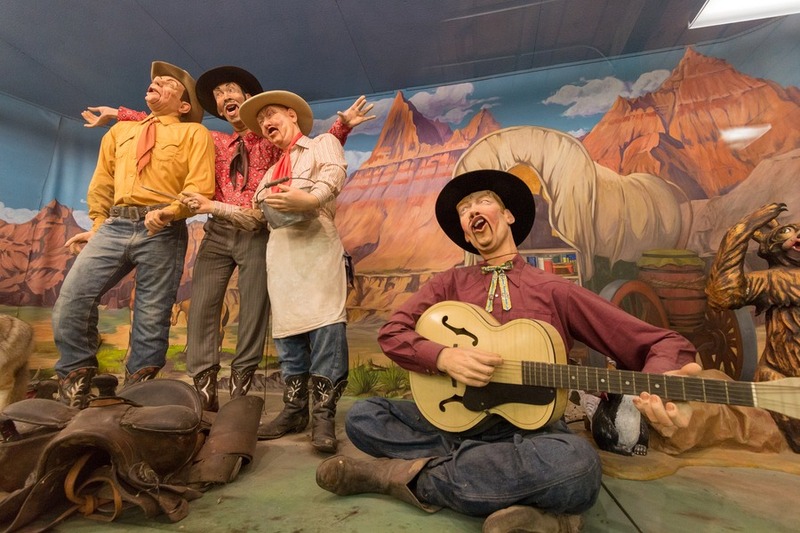 City of Presidents is another free attraction you can find right in the heart of historic downtown Rapid City. Take a walk to find your favourite life-size bronze sculpture of a US president. Phew! You can tell from this list that 4 nights were not nearly enough in Rapid City. 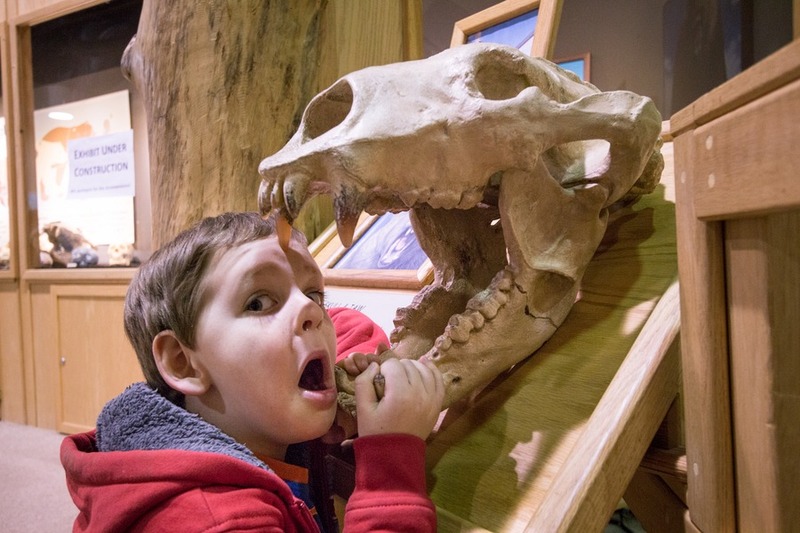 We missed other exciting attractions like the Outdoor Campus West, the South Dakota Air & Space Museum, and the South Dakota Museum of Geology. It was, hands down, one of our favourite stops along our #motherofallroadtrips so far. 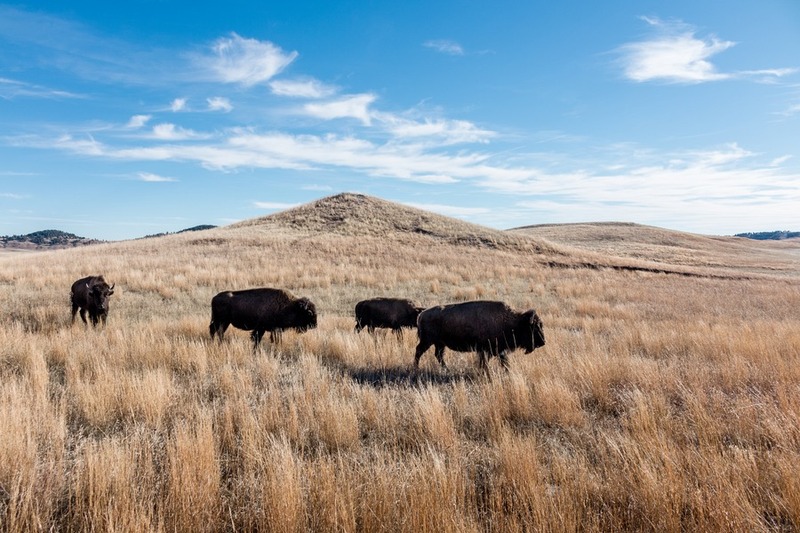 South Dakota is insanely picturesque and even December’s winter chill couldn’t dampen our yearning for the wild. It’s untamed, epic, historic and in some cases just downright bizarre. But that’s what makes it’s it so lovable. 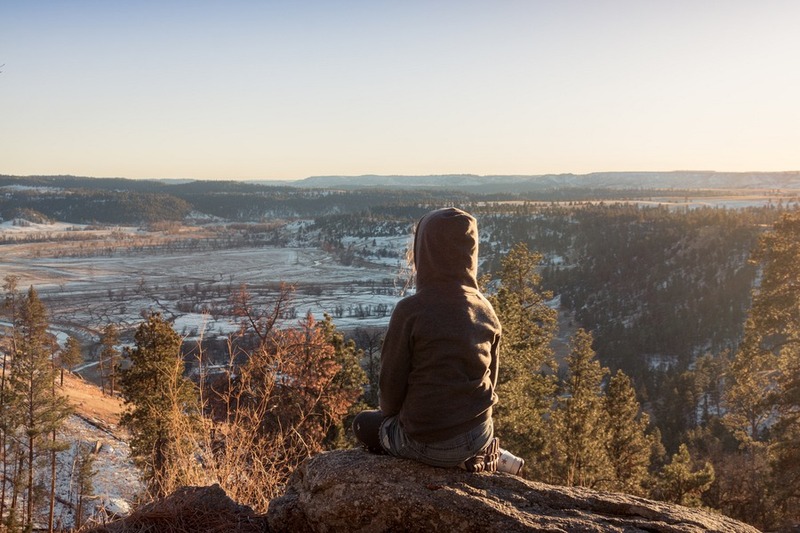 So next time you think of a road trip to see Mount Rushmore, you might want to set aside a few more days to enjoy everything Rapid City has to offer. Your kids will love you for it. This is super helpful! My boyfriend and I are looking into planning a trip here, so I'll have to keep these places in mind! Chapel in the Hills left a big impression on me when I first visited as a kid in 1971 and we stop every time we're in RC. It's a replica of a stave (Viking) Church set at the bass of a pine forest. It's run by the Lutherans and I'm definitely not a religious person, and it's a beautiful place and well worth visiting..